Home » News » New for 2019: Bright for Sight Night Run is coming to Weymouth! 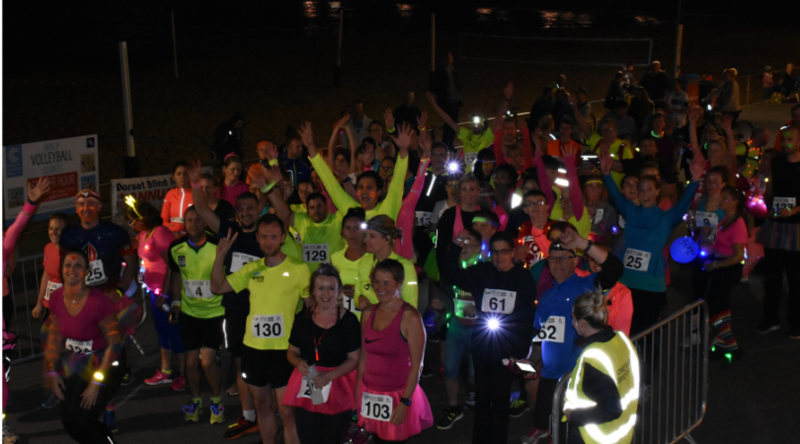 New for 2019: Bright for Sight Night Run is coming to Weymouth! Our Bright for Sight Night Run, sponsored by Friths Opticians, is set to light up Weymouth seafront on Saturday 13th April! Our well loved fun run that usually takes place along Boscombe seafront has become so successful, that we are expanding the event to become county wide. Discount offer of two entries for just £20 is available until 31st January, for our fun run along Weymouth Seafront. We hope you will join us in the first ever Bright for Sight Night Run in Weymouth! The fun run is open to all ages and abilities, so bring along the whole family and walk, run or even skip along the route, wearing your brightest clothing, neon paint, glow sticks or even fairy lights and help make Weymouth’s first ever Bright for Sight Night Run the brightest run yet! The night will begin with a Zumba warm up courtesy of local Zumba Heat Fitness Instructor Lou Sams, getting the runners pumped up and ready to glow! Entry is only £15 per person which includes an exclusive ‘Bright for Sight’ medal and a runners goody bag. Group discount is available to groups of 4 or more at just £12 per person. The run will start at 8.30pm, with registration opening at 7:30pm. We are encouraging runners to raise sponsorship for their 5k or 10k challenge to support them in their 100th year. Commit to raising just £100 in sponsorship and enable 20 vulnerable people to be visited in their homes by our caring volunteers. If you would like to enter the Bright for Sight Night Run in Weymouth, call 01202 712864 or enter online now!